his guide will show you how to add an extra IP address to an existing interface in Red Hat Enterprise Linux / CentOS 7. There are a few different methods than on CentOS 6, so there may be some confusion if you’re trying this on a CentOS 7 system for the first time. First, determine if your network interfaces are under the control of the Network Manager. If that’s the case, you’ll want to keep using the Network Manager to manage your interfaces and aliases. If it’s not under Network Manager control, you can happily modify your configs by hand. The “old” days of Linux used to be all about ifconfig. It would show you all interfaces and their IP aliases on the server. In CentOS/RHEL 7, that’s not the case. To see all IP addresses, use the ip tool. This syntax is more inline with most routers/switches, where you can grep for inet and inet6 for your IPv4 and IPv6 IP addresses. So remember: use ip over ifconfig. 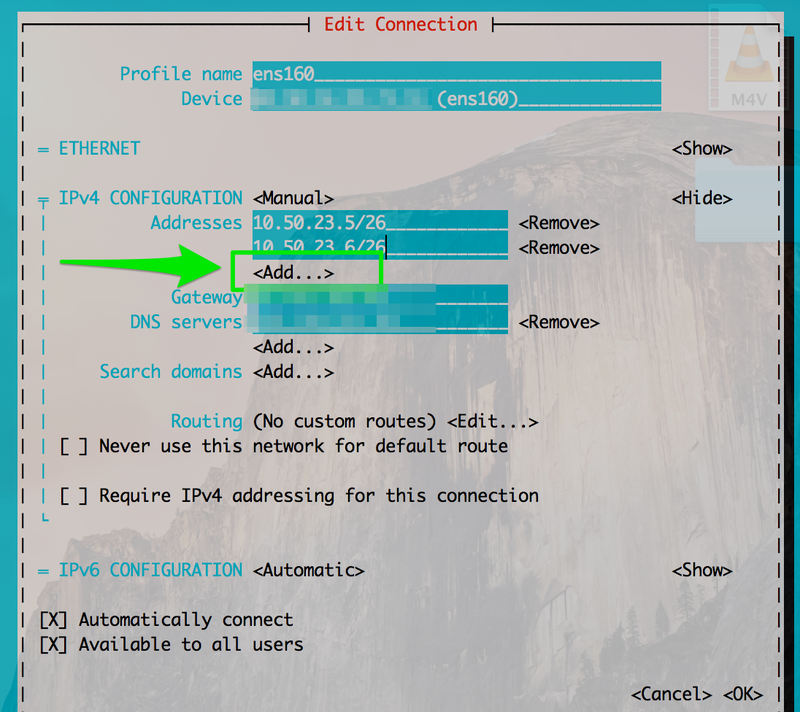 Check if your interface you want to add an alias to, uses the Network Manager. If that’s a yes, you can proceed with the next configurations using the Network Manager tool. After a network reload, the primary IP address will be removed from the server and only the IP address from the alias interface will be present. That’s not good. That’s the Network Manager misinterpreting your configuration files, overwriting the values from your main interface with the one from your alias. 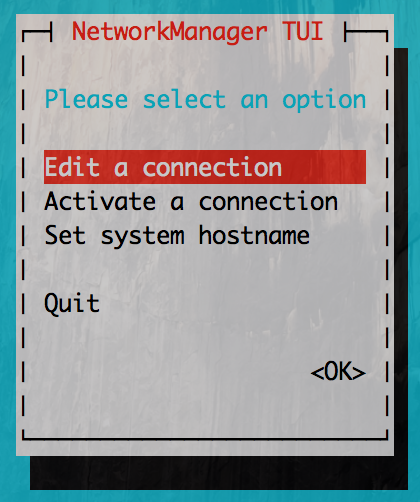 The simplest/cleanest way to add a new IP address to an existing interface in CentOS 7 is to use the nmtui tool (Text User Interface for controlling NetworkManager). 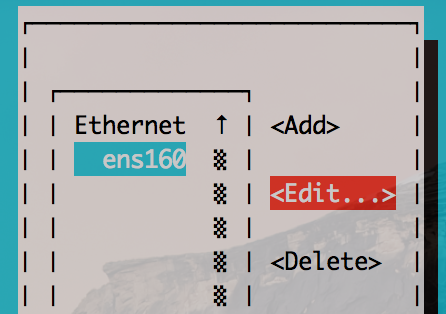 Once nmtui is open, go to the Edit a network connection and select the interface you want to add an alias on. Click Edit and tab your way through to Add to add extra IP addresses. Save the configs and the extra IP will be added. If you check the text-configs that have been created in /etc/sysconfig/network-scripts/, you can see how nmtui has added the alias. If you want, you can modify the text file, but I find using nmtui to be much easier. Only use this if your interface is not controlled by Network Manager. If Network Manager isn’t used, you can use the old style aliases you’re used to from CentOS 5/6. Bring up your alias interace and you’re good to go. Don’t use this if Network Manager is in control. Want to add an IP address just for a little while? You can add one using the ip command. It only lasts until you reboot your server or restart the network service, after that — the IP is gone from the interface.